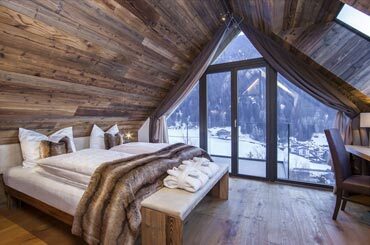 The chalet is an elegant and comfortable nest with a brand new design and a romantic northern atmosphere to be shared in two. 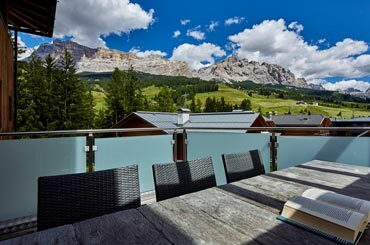 The large windows of Chalet Duo become an unforgettable picture of the fascinating Alta Badia. 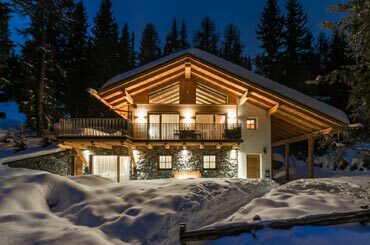 The amazing Chalet is located a few steps from ski slopes at 1800 metres, an ideal place for ski lovers looking for all the comforts of a modern Klima house. 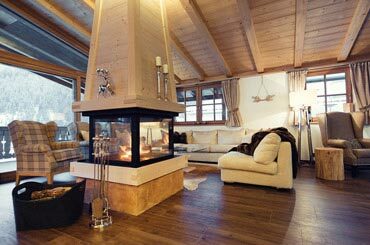 Chalet Plan can accommodate 8 people and 2 further persons on the mezzanine sofa bed. 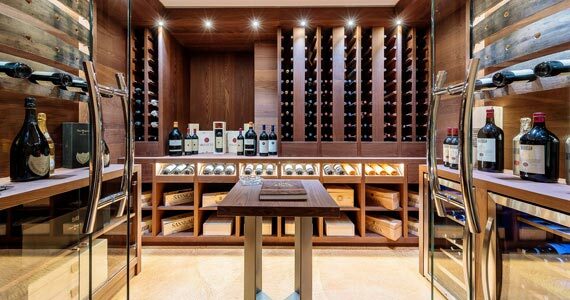 The luxury chalet is part of an estate in the center of Cortina but also in a part very private and not right in the busy streets of the town. 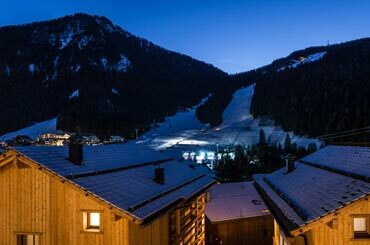 Shops, restaurants and skilift Faloria are reachable by foot. 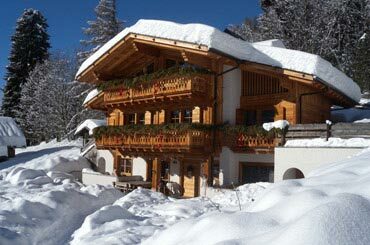 All the chalets have 4 bedrooms but also additional bedrooms for the staff. 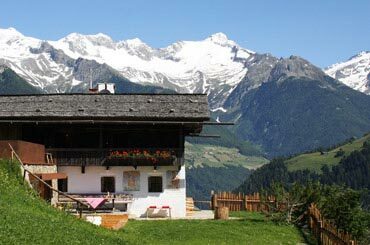 The charming town of Ortisei, main village of Val Gardena is walking distance to the chalet, or a couple of minutes by car. Lovely location for shopping and after ski. 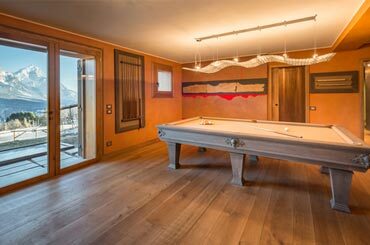 Recently renovated, the chalet has been designed with a lot of taste, and the desire to offer great facilities. 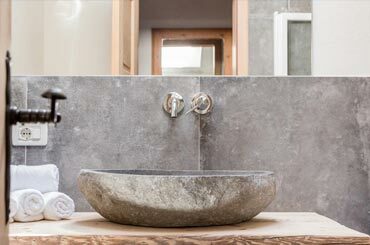 Chalet Linfa is a fairy tale retreat that you reach along a nice mountain road, immersed in the woods, feeling the fresh air and beauty of wild nature all around you. 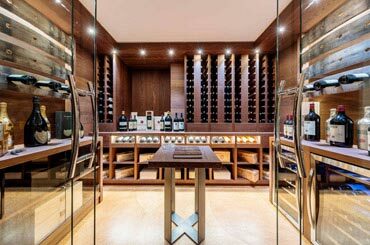 The family that owns the chalet welcomes you in one of the most perfect combinations of luxury and home atmosphere. Chalet Suites is ideal for big groups and family meetings because of the several bed accommodation. The location is breathtaking and it is the best place to be away from it all and spend time relaxing and enjoy traditional dishes and good wines from the terrace. 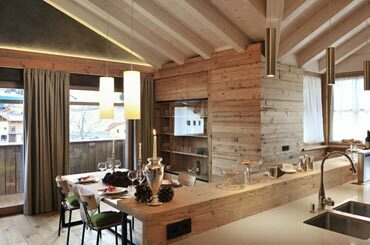 Chalet Tures is a result of an accurate renovation of an old mountain house. 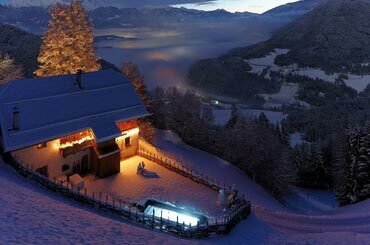 When there is snow all around the chalet, it is possible to put the ski on and start skiing in speikboden slopes. 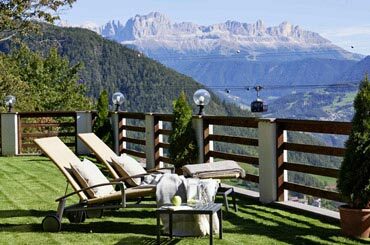 Chalet Brenta is an oasis of peace very close to Madonna di Campiglio. 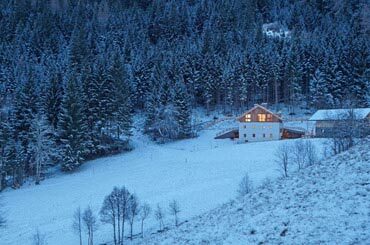 The unsurfaced road that reaches the chalet is an access to a private special place in the woods. 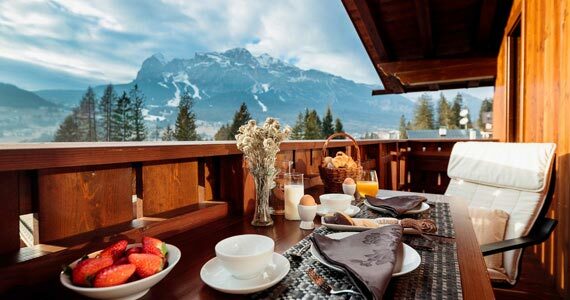 With half board service perfect for those that love coming back from slopes and have a nice dinner prepared by a chef. A perfect mix of style, glamour and comfort. 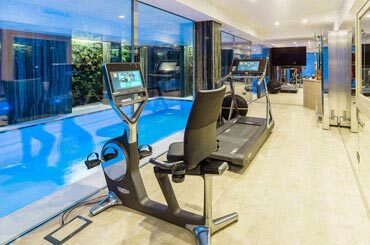 You can start the evening with a billiard game with friends, enjoying a glass of champagne, while others can spend a relaxing moment in the Wellness area, with a Finnish sauna, a Tuskish bath or a multi sensorial shower.